Above is a sample of a first name meaning print. desirable area on the particular scene. 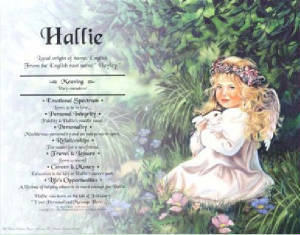 Above is a sample of a double name meaning print. 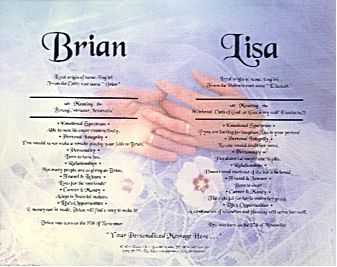 meanings printed on the Wedding Hands background. This sample shows the placement of type for all double name prints. Each letter spells out a characteristic of your name. Above is a sample of a name story print. Click on the image to read letter. 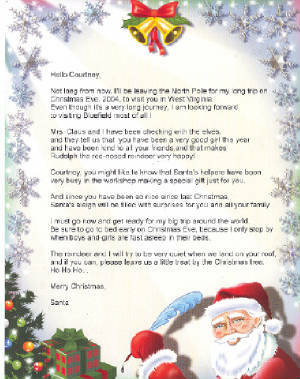 Above is a sample of a letter from Santa.You will need to include person's name,gender (male or female)and city and state in which you live.